WOODS CROSS, Utah (ABC4 News)- Emergency crews are investigating after a person was hit by a train in Woods Cross. They say they are investigating the incident as a possible suicide. It happened around 8 a.m. at 1500 South and 860 West. 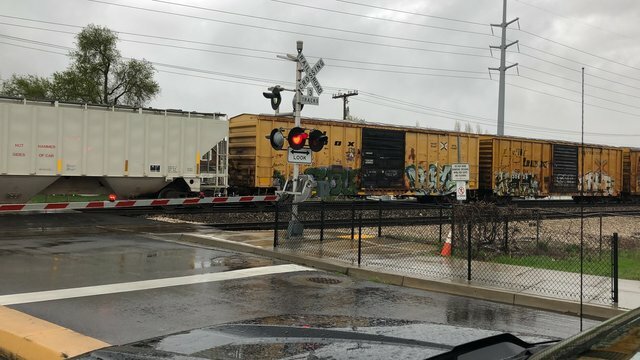 Officials with Utah Transit Authority said the train was with Union Pacific, but FrontRunners will temporarily be stopped southbound at Woods Cross and northbound at North Temple as emergency officials investigate the tracks. There will be a bus bridge in place from Woods Cross to North Temple, riders should expect delays of about 30-40 minutes in both directions. This is a developing story, updates will be posted as more information becomes available. You can call the national suicide hotline at: 1-800-273-8255, or you can download the SAFEUT app where you can text or call a crisis counselor, or send an anonymous tip to help someone.